Episode 5 is Parking Nerds Look at Colombia's Cities (with Carlos Felipe Pardo). You can listen to the 5-minute Trailer Episode for the new Reinventing Parking podcast with the player below. Can't see the player? Try clicking here. Are you a podcast listener? 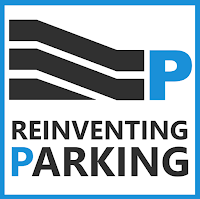 If so, I hope the new Reinventing Parking podcast will be of interest. Curious but confused about podcasts and what they are all about? Here is a simple beginners' guide to listening to podcasts. For everyone else, don't worry. You can still just read the parking ideas here at Reinventing Parking as usual. Podcast episodes will each have an associated blog post for you to read. You will just have a new option - to listen as well if you want to. The start of podcasting from Reinventing Parking also means that the output here will become more regular. 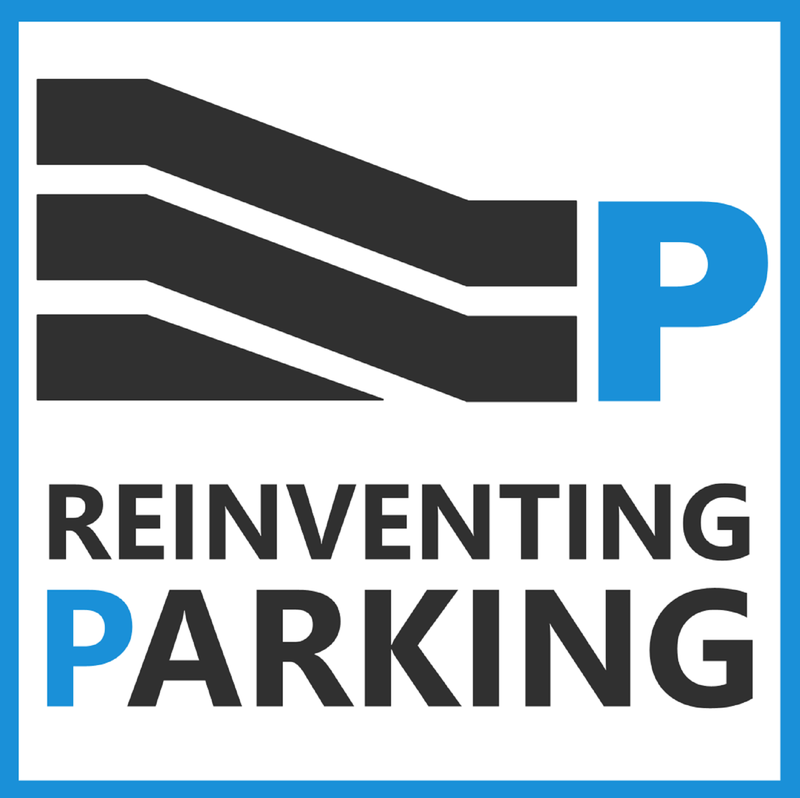 I am aiming for one Reinventing Parking podcast episode (and associated blog post) every two weeks. in the player above, click the symbol that looks like a wifi signal strength icon. There are links to subscribe via Apple Podcasts, Stitcher and GooglePlay Music. search for 'Reinventing Parking' in your podcast player app. If it doesn't show up yet, it should be there within the next few days. Here is a summary of the key points in the Trailer. Reinventing Parking is the podcast about parking policy for anyone who wants a better city and better urban transport. It aims to find and share ways to change parking policy in directions that can help you with your urban policy and urban mobility goals. Parking policy should be successful on its own terms. But it should also help make your city a better place. Most episodes will aim to offer help on one fairly specific parking-related topic in about 30 minutes or less. There will be some solo episodes in which I talk about an article published here at Reinventing Parking. But mostly I plan to interview people who can help you with your parking policy problems. You don't need to be deeply into parking issues to benefit from Reinventing Parking, although if you are listening/reading here you probably have SOME interest in parking. For some of you parking is your profession! But many of you may only be reluctantly interested in parking. You might feel forced to learn more because parking policy keeps getting in the way of something ELSE that you really care about, like walkability, safe cycling, better public transport, or affordable housing or road safety or less traffic-clogged city centres and so on. Conventional parking policy and parking politics tend to get in the way of all those goals. 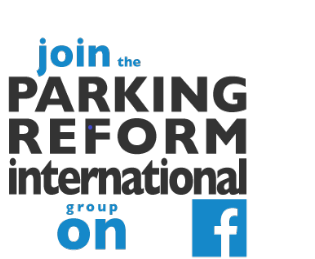 The Reinventing PARKING podcast has a sister show, the Reinventing TRANSPORT podcast, which looks at a much wider set of urban transport issues with an international perspective. I will often interview the same guests for both podcasts. What to do if on-street parking is out of control in your city. How to avoid political traps over parking fees and parking management generally. How to make parking less of an obstacle to affordable housing. Minimum parking requirements and how to get rid of them or make them less harmful. How to deal with parking-related objections to bicycle tracks or public transport lanes. Parking dilemmas for public transport agencies. How to collect Do-It-Yourself parking data to help you with your parking change-making. I also gave some background about myself. I hope you will benefit from the show and that you will enjoy it! Please do share this post or the Trailer episode with anyone you think might like the Reinventing Parking podcast.